PUERTO PLATA, Dominican Republic (May 12, 2017) — Lifestyle Holidays Vacation Club continues its dedication to supporting the Puerto Plata community with its latest efforts to assist employees and others affected by flooding in certain areas of the region last November. 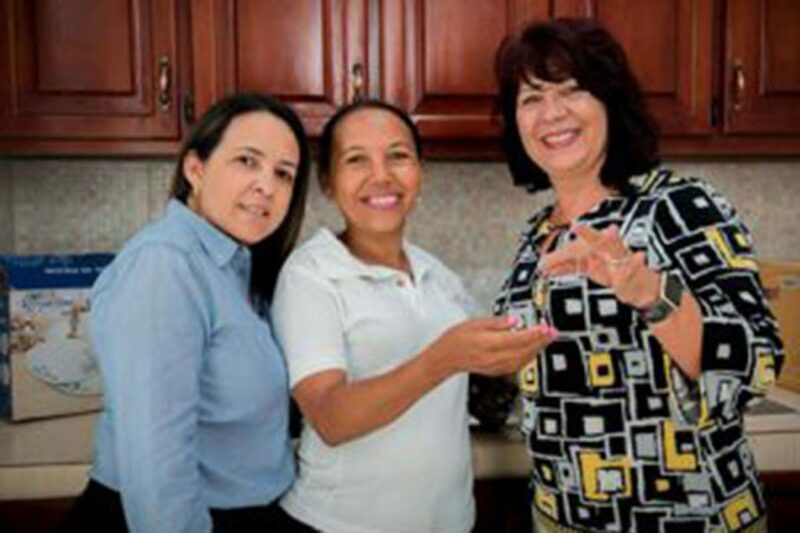 Lifestyle Holidays Vacation Resort General Manager Fatima Gonzalez and Human Resources Manager Mirian Sanchez was pleased to present employee Juana Paula Vasquez from the Laundry Department with a completely remodeled home, which was reconstructed with a reinforced structure and completely new furnishings inside. Lifestyle Holidays President Markus Wischenbart also directed the donation of more than $20,000 the U.S. to help 66 Lifestyle Holidays employees and others in the community who were affected by the flooding. These individuals received new bedding sets and hardware supplies to make minor home repairs. The company has made an ongoing commitment to projects of social well being in the Puerto Plata region of the Dominican Republic. The distinct developments of Lifestyle Holidays Vacation Club in the Dominican Republic include: The Tropical, The Crown Suites, The Crown Villas, The Royal Suites, The Royal Villas, The Residence Suites, The Presidential Suites Puerto Plata, Dream Suites by Lifestyles Puerto Plata, The Presidential Suites Punta Cana, The Presidential Suites Cabarete, Dream Suites by Lifestyles Punta Cana, Dream Suites by Lifestyles Bávaro, Dream Suites by Lifestyles Bayahibe, Dream Suites By Lifestyle and Presidential Suites by Lifestyle in Boca Chica, Cofresi Palm Beach & Spa Resort, The Cliff Villas, as well as Villa Park Villas & Suites and Cap El Limon in Samaná, both currently under construction.